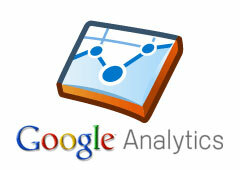 Google announced they have bridged the AdWords reporting with Analytics reporting in one more way. 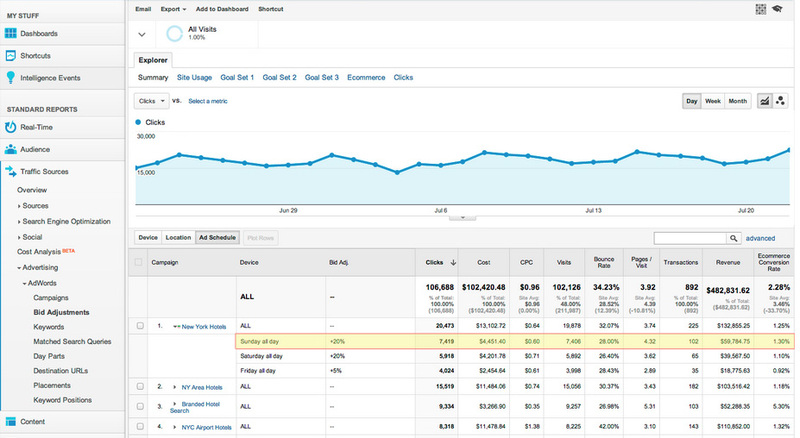 They've now added bid adjustment reporting directly into your Google Analytics report interface. Google said this is designed to "help you optimize your bid adjustments." Google is now bringing in bid adjustment reporting in Google Analytics," allowing you to analyze performance for each of your bid adjustments across devices, locations, and time of day." 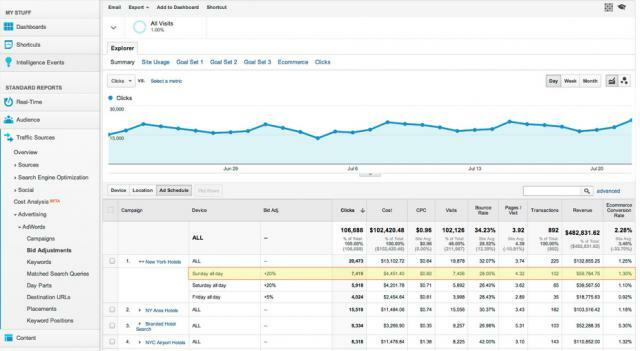 The new report can be accessed by going to Traffic Sources > Advertising >AdWords and clicking the Bid Adjustments link. I am sure AdWords advertisers will be pleased with this.